Zee Bangla Live, Zee Network''s second regional channel, was launched on 15th September 1999 as Alpha Bangla. The channel, since its inception, seeks to identify and meet the entertainment needs of the Bengali community across the globe. 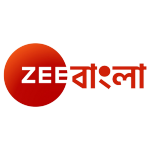 Zee Bangla Live with a spread in Bangladesh, Thailand, Japan & Indonesia has access to millions of viewers globally and commands strong market equity. The brand rightly captures regional essence, with right content mix of aspiration and entertainment. It delivers something for everyone.